Has Modi shaken up dormant India? As India’s Prime Minister Narendra Modi marks a year in office, there are differing views on how effective his government has been. Heading the first government in three decades with a clear parliamentary majority, analysts view Modi’s first year as a mixed bag; with some hits and some misses. As India's Prime Minister Narendra Modi marks his first year in office, a leading Indian business association claims the macroeconomic situation in the country has improved. But the investment climate does not appear satisfactory to foreign investors, many of whom have transferred their assets abroad. On the foreign policy front, analysts feel it is still being formed. However, simultaneously, the new leader has already established personal contacts with the leaders of all the major powers. The Associated Chambers of Commerce of India (Assocham), India’s oldest and a leading organization of business and finance founded in the 1920's, has rated the performance of the Modi government, which came to power a year ago, giving it seven points out of ten. The government received credit for improvement of the macroeconomic situation, the reduction of inflation, the stabilization of the rupee and the financial markets. But, conditions for doing business are yet to be facilitated, especially in the tax administration. Assocham President Rana Kapoor said that the government has made Parliament pass laws more effectively than under the previous administration. Arun Kejriwal, founding director of KRIS consulting firm is also optimistic. Comparing the situation to how it was under the previous government led by the Indian National Congress (INC), Kejriwal said that officials have begun working and decisions are being taken. The last months of the INC-led coalition government was shaken by corruption scandals, which made the administration at the centre and in the states sort of sink into slumber, and economic growth declined. Today, Finance Minister Arun Jaitley expects India to grow at a rate of eight percent or more a year, overtaking China by this indicator. However, it must be clarified that China's economy is many times larger than the Indian one, which is why India will take years to reach the living standards of China. 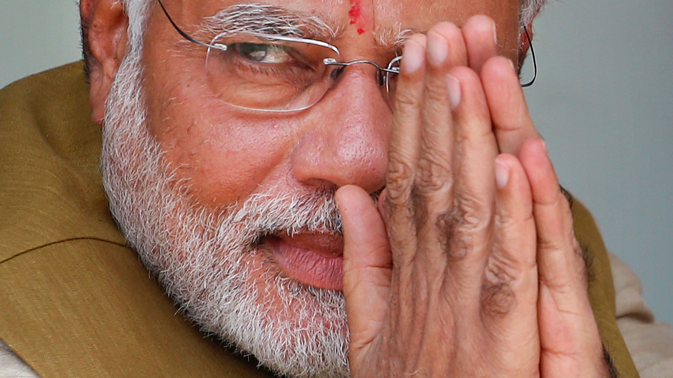 Not all Indian commentators, however, are excited about the results of Modi's first year. Bloomberg columnist Pankaj Mishra writes that foreign investors are beginning to sell Indian securities. Regarding international policy, it is still in the process of formation. As Felix Yurlov, Senior Researcher at the Institute of Oriental Studies, said in his interview to “Nezavisimaya Gazeta”, during its first months Modi's government attached great importance to relationships with the US and China, as well as Japan. Its priorities included meetings with Japanese Prime Minister Shinzo Abe, US President Barack Obama, Chinese President Xi Jinping and Russian President Vladimir Putin. This aroused a negative reaction from some Indian commentators, who wrote that the accelerated rapprochement between India and the US could contribute to creation of a partnership between China, Russia and Pakistan. Why did Modi not attend the celebration of the 70th anniversary of the Victory over fascism in Moscow? “Nezavisimaya Gazeta” asked Sandeep Kumar of Jawaharlal Nehru University. “Modi had to pay a number of visits in May; to China, Mongolia and Korea. His working schedule did not allow him to travel to Russia. But the celebration was attended by the President of India Pranab Mukherjee. The Indian delegation included the Minister of State for Railways Manoj Singh, who is close to the prime minister,” he said. Under Modi, Russia-India relations can only improve. After all, Russia is perceived as a friendly country in India. And it matters for Modi. It is no accident that he has already had three meetings with Russian President Vladimir Putin. Both Modi and Putin are perceived to be strong, nationalist leaders. The most important thing now is to achieve a greater diversity of relations with Russia, with more emphasis placed on scientific co-operation, given the great achievements of India in the field of information technology, Kumar said. First published in Russian by Nezavisimaya Gazeta.